Above: Once a guest of the India police, will he ever be seen again? Loads of bank workers, airport employees and others responded to a trade union call for a national strike - "Bharat Bandh" (Shutdown India) - to protest inflation and a host of other issues on Tuesday, September 7, 2010. Turn-out was higher in the obvious places (West Bengal and Kerala) and lower in others, according to news reports and comments on social networking sites. Many people had thoughts on the second nationwide strike in two months. "Sat n Sunday wer weekend, I dint work. Yesterday was labor day, so I dint work. 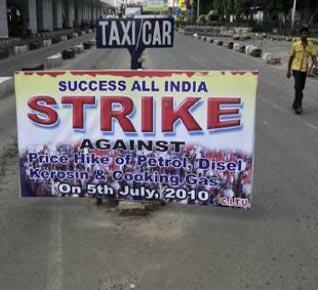 Today is Bharat Bandh, shud I? INDIA IS Gr8," said tweeter Arun Kumar. One person said it was a case of business as usual or rather "no business" as usual. 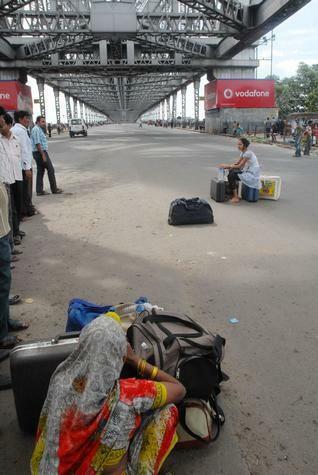 "So another ‘Bharat-Bandh' day? *Yawns* One day we'll celebrate days when Bharat is not Bandh," Saurabh Malhotra tweeted from Dubai. Others said they wished they'd been invited to join the festivities. "how come today is bharat bandh and i ended up at work? no wonder there were no traffic jams. and i thought i was lucky. Sheesh," said Aditya Sanyal. In a week that will see several Indian religious festivals - Eid and Ganesh Chaturthi - several commenters wryly remarked the bandh falls in the same category. 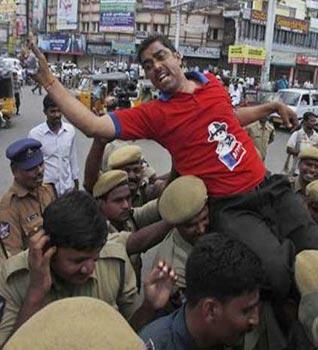 "Today is our national festival ... bharat bandh," said vams21 from Chennai on Tuesday. "Zindabad." 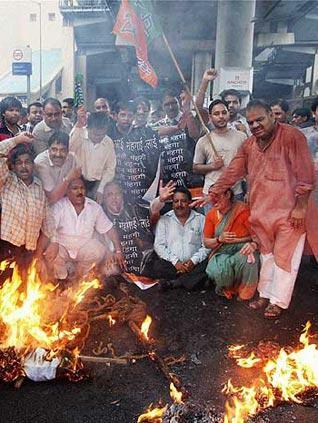 Comment on "Bharat Bandh: India's Favourite Festival"